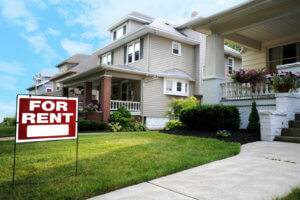 Do you require your tenants to carry renters insurance? If not, you should. Why? Because it matters. I have a cousin that is a defense lawyer for a large insurance company. He defends them for liability cases. He has seen ALL sorts of crazy situations, and has a way of telling the story. The other day, he was explaining a situation that caught my attention. Landlords rents to a family. Tenants have a dog that would “never bite anyone.” Dog bites a kid. Takes a chunk out of his calf. The landlord was smart, and required his tenants to carry renters insurance. The limits the renters had weren’t high, but the hospital bill was covered. Good for the landlord, right? Wrong. Landlord also gets sued. Why, because while the hospital bills were covered there was some pain and suffering that wasn’t. So, naturally it would be the landlord’s responsibility for having allowed such a vicious dog to be on the premise. The verdict in this case was still pending when I spoke with him. But the outcome is irrelevant. He was their defending the insured, which brings up 3 things we can learn. The Defense costs provided by your landlord insurance policy are extremely important, without it, this poor landlord would have been footing the bill for this case. It would appear this landlord would have been on the hook whether or not the tenant had insurance, but because the tenant had insurance, the loss to the landlord was less that what it could have otherwise been. Ask about them, screen them, maybe don’t rent to people with them, and if you do, please remember Inspector Clouseau (https://www.youtube.com/watch?v=Kg0CQKQWLJI). Simply asking if their dog bites, may not be sufficient. If you do rent to people with dogs remember there are certain dog breeds that should be excluded in all cases. These include Pit Bulls, Rottweilers, Dobermans, Chows, Akitas, and other aggressive breeds. Yes, theirs might be the gentlest dog ever, but statistics show the bad liability claims are related to these types of breeds. Insurance companies don’t want to take the chance, and neither should you. For a quote on renters insurance, contact us today.